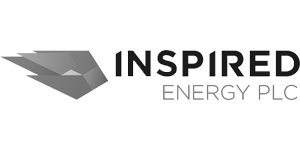 This Internet website is provided by North & Western Lancashire Chamber of Commerce (“the Chamber”). By using this website, you agree to be bound to the following Terms and Conditions. If you do not agree with these terms and conditions then you are not authorised to use or access this Site. The data controller for all personal data collected via this website is North & Western Lancashire Chamber of Commerce with its registered office at 9-10 Eastway Business Village, Oliver’s Place, Fulwood, Preston PR2 9WT. This means that we are responsible for deciding what data we collect and how we hold and use your personal data. We will implement appropriate data security measures for protecting the data from unauthorised access and loss, as laid out in the Security section of this Policy. The personal data collected is used by the Chamber to give you information relating to Chamber membership, the Chamber’s website, other Chamber services, customer administration, prospecting new members, account management with existing members, to process and respond to queries received from the public or other relevant stakeholders, to contact you to seek your views or comments on emerging political or economic issues and to send marketing communications on the Chamber’s behalf or on behalf of the Chamber’s patrons and strategic partners. The Chamber may perform statistical analyses of user behaviour and characteristics to measure interest in and the use of various sections of the website. The personal data held by the Chamber may also be used on an aggregate basis without any personal identifiers to provide third parties with information, such as the composition of membership, and to help us develop new member services and products, improve the features and content of the website or other marketing material, and to provide sponsors and others with aggregate information about our members, website users and their usage patterns in relation to services and/or the website. If you (or your parent company) are a current member of North & Western Lancashire Chamber of Commerce, opting out of promotional emails will not stop all communication from us. By becoming a member of the Chamber, your firm is signing you up to receive certain information related to the organisation. It is a constitutional requirement for us to send this information to you. 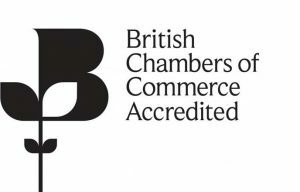 The Chamber is a membership organisation and for its legitimate business interests, must maintain contact information on its members and the wider business community to communicate information on membership, events, training courses, policy and research, international trade and any other Chamber products or services. The Chamber also sends promotional material promoting its events, training courses, membership services, business support services, policy and research work and other relevant offerings. From time to time, the Chamber collaborates with other relevant organisations and companies to promote other programs that may be of interest to members and the wider business community. In such cases, the Chamber does not provide these organisations with any personally identifiable information but may distribute the organisation’s information on their behalf to those who may legitimately be benefited from receiving such information or have elected to receive such information. If you do not wish to receive marketing material, you may opt out. Every marketing e-mail will include an ‘unsubscribe’ link at the bottom. You may also notify the Chamber in writing as set out below. If your parent company has nominated you as a relevant contact required to receive information on its behalf, you cannot opt out of important information the Chamber is required to provide you as per the Chamber’s contractual obligations to its members. 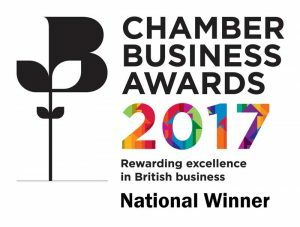 The Chamber is part of a network of 53 Chambers of Commerce across the UK accredited by the British Chambers of Commerce (BCC). One purpose of the Chamber is to “to represent, promote and protect the collective interests, views and opinions of the members…” This objective is stated in the Chamber’s ‘Articles of Association’ (see section 2 of AoA). We will provide BCC with your company’s email address in order for BCC to conduct research into the impact of policies on your business. The NEA scheme is a service provided by the Department for Work and Pensions. The North & Western Lancashire Chamber is a delivery partner in a consortium led by the Cumbria Chamber of Commerce to deliver the NEA scheme in Lancashire, Cumbria and Merseyside. We need to collect information about clients to offer and deliver the NEA scheme, including personal information. This is information we are given by DWP/Jobcentre Plus and information we collect directly from you as part of delivering the scheme. In addition to the rights of access, review and correction, you have the right to object to your personal data being processed for any particular purpose, or to request that we stop using your information. If you wish to exercise these rights, please e-mail info@lancschamber.co.uk or send a letter marked “Data Protection” to the Chamber’s offices at 9-10 Eastway Business Village, Oliver’s Place, Fulwood, Preston PR2 9WT. If you have further concerns about how we use your personal data, you also have the right to make a complaint at any time to the Information Commissioner’s Office (ICO), the data protection authority for the UK. Please visit https://ico.org.uk/ for more details on your data protection rights and how to contact them.